I have no idea how she does it, but yet again Sarah Morgan is treating us to a simply marvellous story, all about sisters and family. For the Christmas sisters aren't really that close, a terrible accident in their past has shaped how all three ladies are today as well as their mother Suzanne. With the viewpoint switching each chapter to a different one of our four leading ladies, we get to know Hannah, Beth, Posy and Suzanne really well, and probably even better than they know each other. Oldest sister, Hannah is the high flyer of the family, she is on and off planes regularly doing her job that involves numbers. As numbers are what she knows. She is reluctant to let anyone get close, so the fact she has been sort of seeing Adam for a while is taking some getting used to. Hannah also tries to avoid Christmas where possible, and is never keen on returning home to Scotland for the season. Middle sister Beth, is married with two children who are completely adorable, and is having her own crisis at the moment. While younger sister Posy, is more of the homebody, with a love of climbing and is part of the mountain rescue team. Posy was the sister I felt most connected too, and I loved the outdoors scenes that she was involved in. 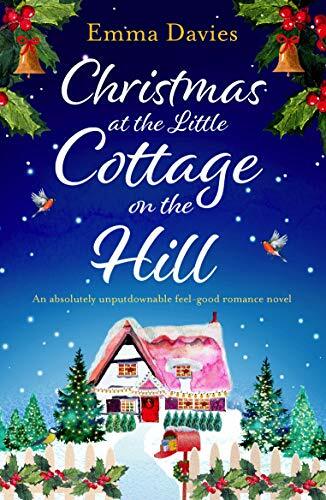 Suzanne is determined to make Christmas perfect for all her girls, even if it means running herself ragged. What was really fascinating were her flash back scenes which gave all the vital background knowledge to the family , even if it took a fair bit of the book to convey all the information. This is a book all about repairing the bond between the girls, and really showing you where home is. Thanks to Beth's children, there is also a certain magic about the season too, and there were lots of grins to be had. And I loved Eric, who is living in Hannah;s room, but I will leave you to discover who or what Eric really is! 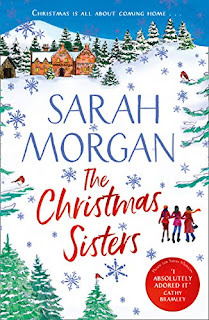 The Christmas Sisters really is Sarah Morgan at her best, it is so hard to put down, it draws you in and just doesn't let you go. Every time I picked up the book, I just wanted to continue reading, until eventually I've finished it around 2am! Such a warm book, full of heart, love, Christmas, snow, personal growth, and relationships - a true joy to read. 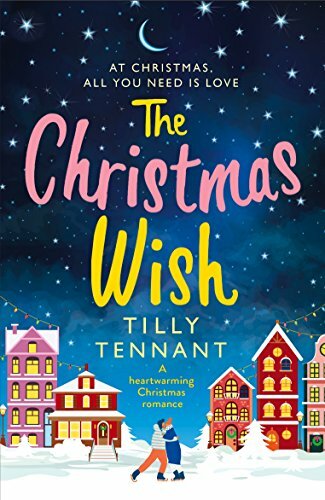 Full of Christmas charm and magic, this is such a heartwarming story that had me enchanted from the first few pages. I've no idea why but I always seem to be really attracted to books with a Nashville connection, so one set in a cozy cabin just outside Nashville was always going to be of interest, especially when the book is written by an author that I know write a fabulous Christmas book. I loved everything about this book, from the small town community where the cabin is, to seeing Nana really start enjoying life again, to Holly slowing realising what it is she wants to do with her life, and who she may want to be with. Then there is Joe the man who shouldn't have been in the cabin had it not been for the snow, and wow is he hot, I loved the clear chemistry that there was between him and Holly no matter how much they deny it. In addition there is Rhett, who used to be her best friend and who is now declaring his undying love for her, all manner of southern foods that were made to sound very tasty, and just a lovely small town community feel. There are a couple of key themes explored, some in more depth than others, but all in a way that kept me reading as I needed to see how the storylines would progress. From the moment I started reading, I felt as though I was being hugged by polar bear - well it was a huge bear hug feeling, while also feeling as thought it wouldn't let me go. Definitely a story that kept me smiling and has once again secured in my mind, that I tend to prefer Jenny Hale's Christmas books to her summer ones - although they are all great. With just a sprinkling of Christmas magic, this is a gorgeous story that I suspect you may enjoy as much as I did. 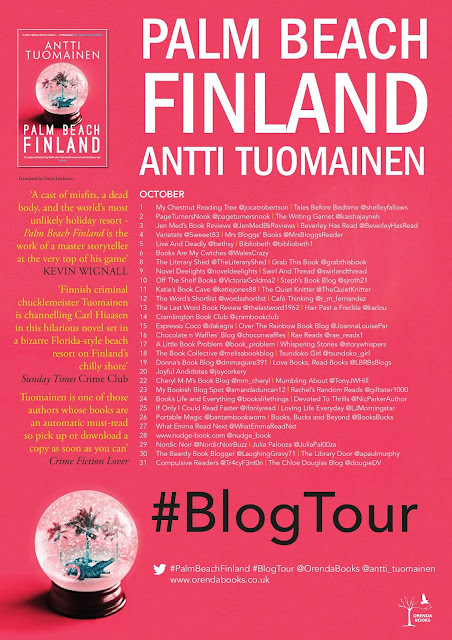 Please do take a look at all the other blogs on this tour. It was a sheer joy to be back at Wynthorpe Hall amongst friends, from last years Christmas book. And if I thought last years was amazing then this one may just be better. I was all for Angus' idea for a winter wonderland to be held at The Hall, and was enchanted with how the team pulled together to put on such a magnificent event. Gabe is the new woodsman, and its clear he has some baggage but I hadn't guessed just what he is hiding. At some points I absolutely loved him but he was blowing so hot and cold that it was hard to full embrace him. Whereas Hayley I really enjoyed getting to know. She has so many layers to her personality and history, that you are continually learning new things about her, and how she would deal with situations. I loved seeing her true personality shine through as the story continued, and she definitely has some personal growth too. 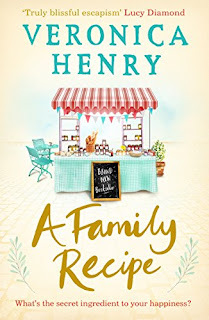 Although this does feature a whole host of familiar characters, for fans of Heidi Swain, I do believe the book can be read as a standalone too. There are enough references to past occurrences to give you a good idea of what happened, plus the main focus of this book are different people. There are a large number of characters to keep track of, but once you have worked out who is who, it feels as though you really are another part of the family at Wynthorpe Hall where everyone feels welcome. There is just something special about Heidi Swain's writing that keeps me reading, and going back to the book continually and at no points did I want to tear myself away from this really lovely book. 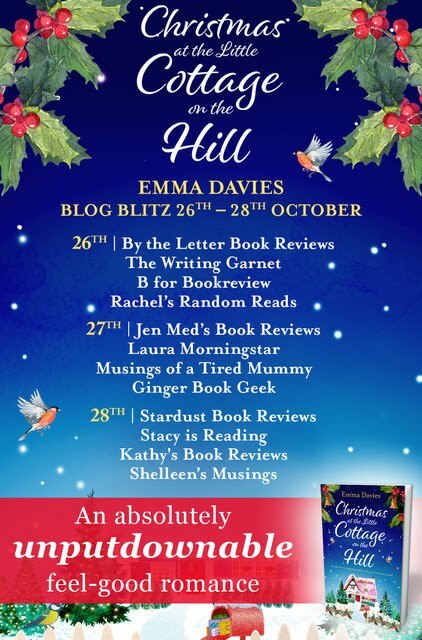 Whether you are a long time fan of the author, or new to her, this is definitely a festive feast of a book to read this season. Book 28 of 28 read on my holiday to Cyprus in June 2018. The clock is ticking...and they're seriously ticking each other off. But Stormy and Marcus are about to discover just how thin the line between love and hate really is. Thank you to Headline Eternal and Netgalley for this copy which I have reviewed honestly and voluntarily. Book 27 of 28 read on my holiday to Cyprus in June 2018. Imagine Agatha Christie had created an interactive Escape the Room game, and GUESS WHO would be the result. For fans of the DI Helen Grace series by MJ Arlidge, The Lucky Ones by Mark Edwards, Ragdoll by Daniel Cole, and From the Dead by Mark Billingham. Wow I had no idea how to work out who the murderer is or what the motive was, well until things became slightly more apparent later in the book but even then I was still getting shocks. 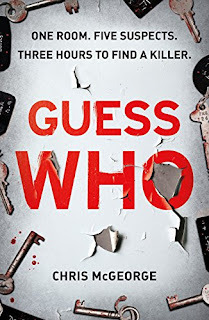 This has to be the ultimate in locked door claustrophobic crime stories - no one knows why they are in the room, or how they got there, or initially what they may have in common, but if one of them can't solve the murder in 3 hours they will all be blown up. It is fast paced, its thrillings, its unpredictable and was a utterly gripping. I was completely drawn into the situation and I think I felt as tense as the various characters in the room. I'm struggling to believe this is a debut novel as its so good. I am very eager to see what the author will write next. 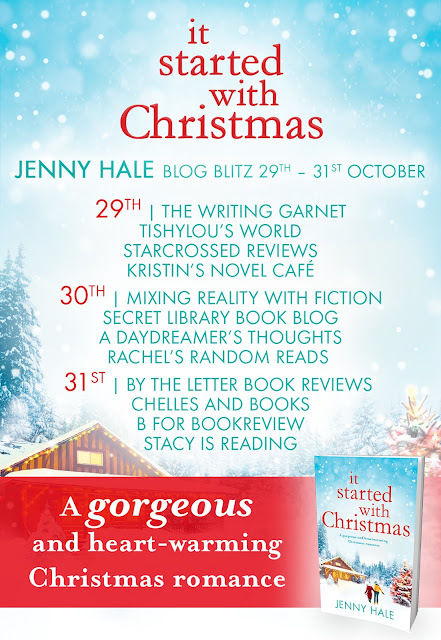 A wonderful new uplifting Christmas story from Kathryn Freeman to put you in the festive mood. Highly recommended. Linked to A Little Christmas Faith but can be read as a standalone. 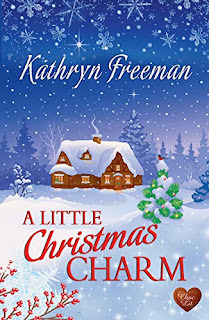 It is always a delight to start a new Kathryn Freeman book, and this was no exception. It was so romantic, with clear chemistry between the two leads and a story that developed and became so much more than it first appeared as it progressed. I warmed to Owen from the moment we met him, he is an incredibly charming man and he knows it, but hits useful for his job in sales. However it is soon apparent he has a certain vulnerability to him too which just adds to his overall appeal. Whereas Gabby took a bit to grow on me, mainly because she doesn't seem to be a fan of Christmas. But as you discover her reasons why, and see how the grows throughout the book I found myself loving her more and more. With the way the book started, and the instant connection from the characters whether they were acknowledging it or not, I did worry that perhaps this was going to be a slightly different sort of book than I was expecting with many hot and heavy scenes, but what we actually get is to hear more about the characters and their families. Easily all the best bits came in the second half of the book so I can't really tell you about them but rest assured you are in for a treat. As the blurb says there is a connection to A Little Christmas Faith and I spent most of the book wondering if I was missing a link until I found it. 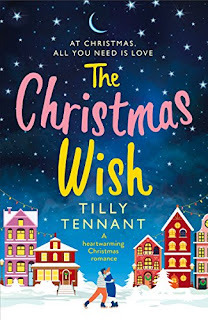 Rest assured you don't need to have read A Little Christmas Faith in order to enjoy this one, its there clearly for her fans, but if you weren't aware of it you wouldn't realise. This is not a sequel in any normal sense of the word. 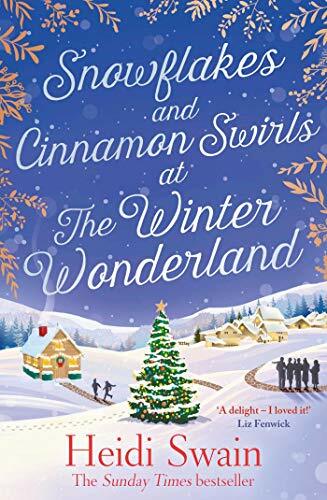 What is is, is a wonderfully charming story, that had me hooked and I was devouring it, It is a lovely addition to any Christmas book lover's kindle this festive season. I had been a bit worried going into reading this that I had read something in theory similar sounding only a few months ago, and was worried I wouldn't find this particularly original as a result. Well I was completely wrong - ok the hiring of a fake date for whatever reason has been done before and the book even makes a point of referencing some films where that is the case in it - so although you are going into this with a fairly good idea of how it may all end up - the journey is still incredibly enjoyable. I absolutely loved this book and found myself whizzing through it. 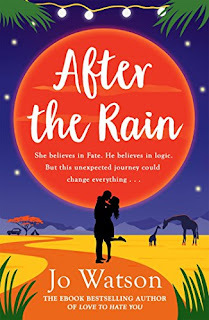 The first thing that amused me about this book is the main character's name - Nikki Moore - as I have read some wonderful books by a real life Nikki Moore. No idea if it was sheer fluke, but I kept thinking of the other one every time the name was written in full! I loved the motivation for Nikki to hire her fake date, and the reasons she had for the criteria of what sort of man she was looking for. I also fell for the man rather fast, he was gorgeous and had a really great vibe to him. The connection between Nikki and Diego was evident the whole time, and there are so many amusing moments in the book . 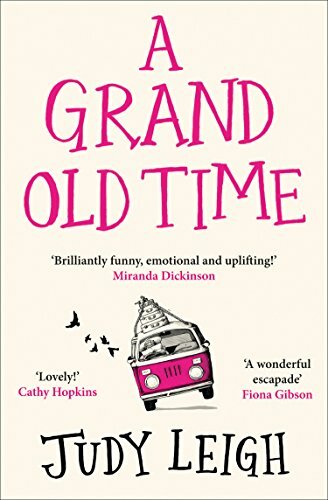 This really is an enjoyable read, and another lovely book from an author that I enjoy more and more each time I read her. Thank you to Camilla Isley for this copy which I have reviewed honestly and voluntarily. I really had no idea what to make of this, other than it kept me interested and entertained me throughout. This was the first book I have read from this author, and he certainly had an interesting way of putting things. This is quite fast paced and the focus of each chapter is a different character, so it does take a bit of time to get to know all the different people involved. From the start as readers we know who did it and the motivation, but what kept me reading was seeing just how many different people had a vested interest in working it out, and just how many different potential motives there were. At times it was almost farcical. I enjoyed reading about all the various characters, we have Olivia, whose house had the dead man in it, the under cover police man Jan, a pair of bumbling friends who dream of getting out of the town to bigger and better things. There is a man who is related to the dead man who I didn't really get to grips with but he had some a unique perspective on life. 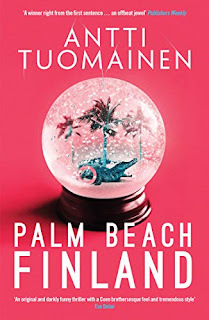 And then there was Leivo, the owner of Palm Beach, Finland who was arguably my favourite - listening to him describe his big plans for he new beach resort, that is going to be the biggest thing in Europe if not the world was frankly hilarious. He had fabulous ideas, big big plans, and at times seemed completely deluded, but it was incredibly amusing. There was practically a comedy of errors in this story, as all the characters were flawed in various ways and all very capable of making mistakes, and poor decisions, it was just some were more critical than others. 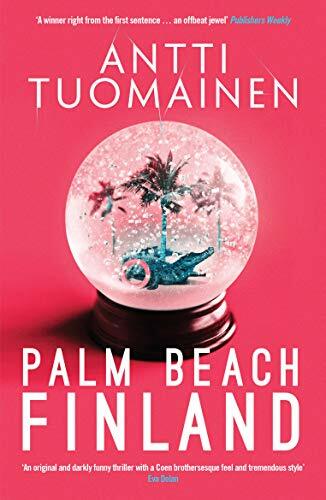 Being a fan of anything featuring a holiday destination, and not having read anything before set in Finland are what attracted me at first to the book - but its not nor was it ever going to be a gentle chick lit summer read, but neither is it a heavy thriller with a huge body count. If I was asked to describe it I would say its comic crime - not sure if that is a thing but its funny and had me smiling in places, and there were certainly criminals! I would certainly recommend it to those who prefer slightly lighter crime stories, those after a laugh, or just anyone wanting something slightly different to read. Thank you to Orenda Books for this copy which I have reviewed honestly and voluntarily. 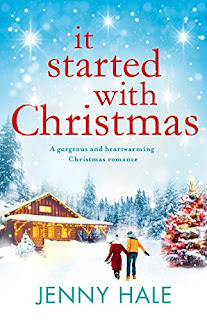 I'm always a sucker for a book that involves a holiday, and so a book with Christmas in the title and Lapland in the blurb by an author that I love was always going to be a must read for me. And I'm delighted to say it was everything I could have hoped for. 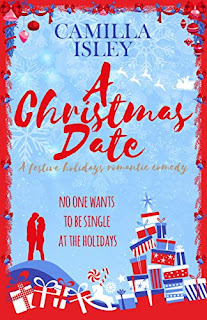 The Amazon tag line for this book is completely correct, it truly is a heartwarming Christmas romance. For me the story came alive the second Esme decided that she was definitely going to Lapland, and her personal development and self awareness improving while on the weeks holiday were fabulous to see. What she doesn't realise but the reader are clearly aware of is that she needs to leave Warren and the toxic relationship she is in, but she seems to struggle big time with a decision that seems so easy to anyone on the outside of what she was going through. Esme ends up in a group of four while travelling and Hortense is a real tonic, she has such a fabulous personality that you can't help but like her. Brian is also travelling alone but whether he is over the break up with his wife, it is hard to tell. Although he was part of the group, he seemed quieter and more in the background. I loved pretty much every second they spent in Lapland, and the descriptions were fabulous. I felt as though I was there alongside Esme and her new friends, and its made me even more determined to eventually one year brave the thought of a holiday somewhere cold! 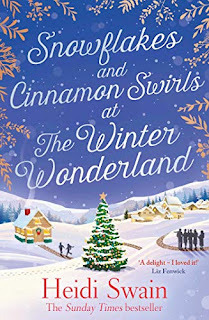 There were also some tricky subjects covered incredibly sensitively which added to the books appeal, and although even with Lapland, I didn't feel the book was overly festive, I would say its a fantastic book for any point over the winter. Book 26 of 28 read on my holiday to Cyprus in June 2018. 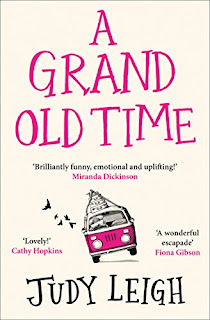 Heartwarming, hilarious and joyful – the perfect read for anyone who loved Eleanor Oliphant is Completely Fine, A Man Called Ove, Ruth Jones and Jojo Moyes. This book is a lot of fun, and is one that I really enjoyed reading. Evie who is 75 has decided that living in a care home isn't really for her, and decides to leave without telling anyone. After a stroke of luck she ends up taking a fabulous road trip through France and meeting loads of great people. Her son Brendan whose marriage seems a bit rocky, decides he needs to set off in pursuit of his mum. So we have a book with two separate road trips going on, which takes in a lot of small villages in France and gives a great idea of the various places. Their two experiences are wildly different, and as much as I loved Evie's story, I just didn't take to Brendan and his wife Maura. He seemed like a real mummy's boy and just dissatisfied with everything and I really wasn't sure what to make of Maura. Evie on the other hand is a fabulous character, full of life and her imagination is wild! I loved Evies assorted antics and overall thought this was a very entertaining story and definitely an author to keep an eye on for future releases. Book 25 of 28 read on my holiday to Cyprus in June 2018. Wow what a fascinating and enthralling story, I was hooked from the beginning, and given chapter 1 was set during WW2 and I'm not a history fan, that is saying something. In fact I was very interested in the occasional wartime chapter which was telling the story of Jilly and Ivy as young women. The present day storyline featured Laura, her husband Dom, grown up children Willow and Jas and her grandma Kanga. At the heart of both past and present stories is the house, its garden and the family recipes that have passed through the generations. The book has fabulous writing, interesting storytelling, and a knack for transporting you between the pages so that you forget your real life exists. Even when I wasn't reading this my mind was still on the story, it really got under my skin, and with the various perspectives gave a good look at all the key characters and their motivations.